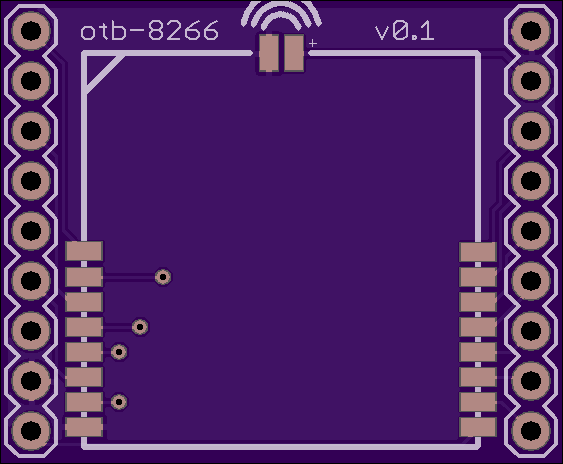 2 layer board of 1.13 x 0.93 inches (28.6 x 23.5 mm). Uploaded: September 16th, 2016 18:14. 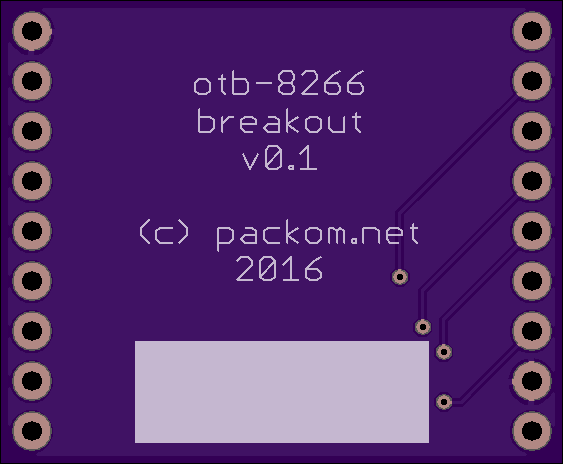 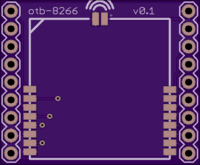 A breakout board for the otb-8266 v0.1 ESP8266 module.